How Lionel Messi Was Handed A 21 Months Prison Sentence! 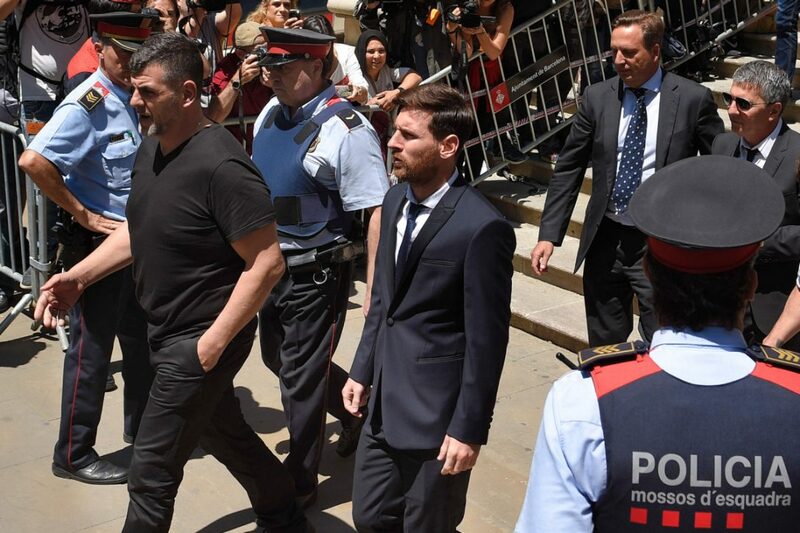 The Barcelona super star and his father has been given a 21 months suspended prison sentence, meaning they may not serve the sentence behind bar. Lionel Messi and his father, Jorge Horácio Messi has been embroiled in a messy tax evasion case with the Spanish authority for some times now over the non payment of taxes totaling €4.1 million between 2007 and 2009. Lionel Messi’s father, Jorge Horácio Messi who acts as his financial manager and adviser was said to have setup several fake companies in Uruguay and Belize with the objective of using those companies to evade taxation from Spanish authority. They were however sentenced today to a suspended 21 months in imprisonment despite pleading his innocence to the wrong doing. On €36 million per year, Lionel Messi is easily one of the highest paid sports person in the world and could easily afford taxation of €4.1 million over three years. To find out why and how Lionel Messi was dragged into this kind of messy financial matters when he was supposed to be busy with his playing career, we need to take a look at the time when this tax fraud was said to have happened. How old was Messi from 2007 to 2009? He was probably 19 to 21 years, and such age, maybe too concerned about his emerging football career rather than financial maters. So, who is to be blamed in this? His father who serves as his financial manager and mentor should take the bulk of the blame. Messi has said time and again that he never suspected in wrong doing in his financial affairs. However, ignorance is no excuse. And in some case its worst than knowing. According to people’s opinion, he broke the laws, blames his dad, his dad blames his advisors. Another popular sports personality, Justin Gatling did the same when he was caught for doping, he blamed his doctors, then 3 years later blamed his masseuse. All these are nothing but cheats, it doesn’t matter whom you blame. According to Israel Philip, a Goal.com commentator, who said “No one wants to see Lionel Messi in jail be it Real Madrid fans or Lionel Messi haters. We can be Real Madrid fans and Lionel Messi haters but seeing a world class superstar like Messi in jail is not in the interest of the game. We all love football though we may have our teams and stars differences but what we have in common is the love of the game and our admiration for those who are playing it. Taking a superstar such as Lionel Messi from the field into prison is a total humiliation to the game of football. This is not against Messi, it is against football. Lionel Messi is one of the world most entertaining footballers who is admired by Kings, Queens, Presidents and even unborn children around the world. So I believe there will be and there should be and there has to be and there can be a way for this superstar to continue to be on the field so as to give us something to argue about; CR7 and LM10. And there is of course a way out already. Any jail term of less than two years according to Spanish laws can be suspended. Since Lionel Messi is sentenced to 21 months rather than 22 months, it means the actual jail can be suspended.